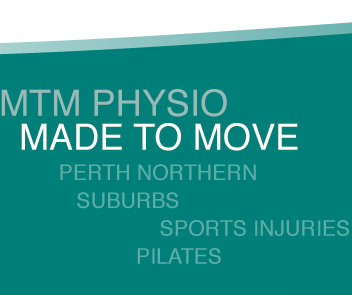 Made to Move Physiotherapy is a multidisciplinary health care clinic located in the northern suburbs of Perth, Western Australia. Our team of health professionals includes Sports and manipulative physiotherapists, exercise physiologists, Physio Classes instructors and physiotherapists trained in women's health and continence and real time ultrasound. The qualified team at MTM specialise in the management of a variety of physical conditions with special focus in, Sports Physiotherapy, Manipulative Physiotherapy, Women's Health and Continence Physiotherapy, Acupuncture, Physio Classes, Real Time Ultrasound Imaging and Gym Rehabilitation. We are conveniently located near the main thoroughfares of Perths northern corridor, Made to Move Physiotherapy is central to all, including our surrounding suburbs: Marmion, Padbury, Hillarys, Warwick, Belridge, Karrinyup, Sorrento, Carine, Greenwood, Stirling and Kingsley.